Home › Electronics › Moko Google Nexus 7 2013 Fhd 2Nd Gen Case - Ultra Slim Lightweight Smart-Shel..
Moko Google Nexus 7 2013 Fhd 2Nd Gen Case - Ultra Slim Lightweight Smart-Shel.. Automatically wakes or puts Google Nexus 2 7.0 Inch Tablet to sleep when the lid is opened and closed. Access to all features and controls. Lifetime warranty. Please search "MoKo Google Nexus 2 7.0" for other accessories offered by BSCstore. 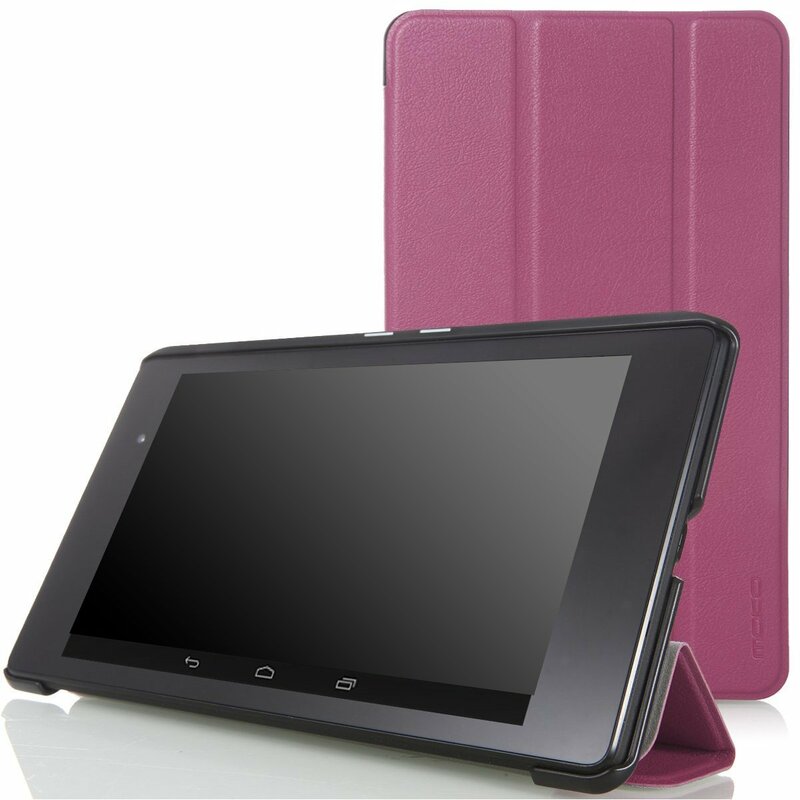 Color: Purple Compatibility: Custom designed for your precious Google Nexus 2 7.0 Inch Android Tablet, this MoKo case features a combination of functionality and style. Well built to protect your Google Nexus 2 7.0 Inch Android Tablet for the years to come. : Automatically wakes or puts Google Nexus 2 7.0 Inch Tablet to sleep when the lid is opened and closed. Ultra slim lightweight hardback adds minimal bulk while protecting your precious device. High Quality, Stylish and Durable, Easy to install and remove. Convenient stand positions for watching movie or typing. With magnetic closure. About us: This product is sold exclusively by BSCstore. Only buy from BSCstore to get genuine MoKo products with Lifetime warranty and superb customer service. MoKo is registered trademark of BSCstore and is exclusively distributed by BSCstore on Amazon. MoKo trademark is protected by US Trademark Law.